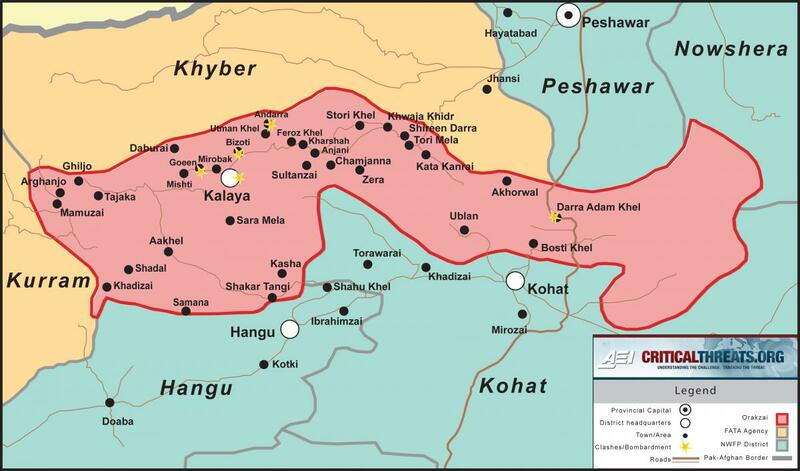 UPDATE: On June 1, 2010, following Chief of Army Staff General Ashfaq Parvez Kayani’s visit to Orakzai and Kurram agencies, the Pakistani military declared victory over the Taliban in Orakzai and announced that major operations were now over. Given that fighting between militants and the military in Orakzai is still ongoing, the Critical Threats team will continue to track developments in the agency on a bi-weekly basis, including new incidents of conflict and issues related to the repatriation of IDPs. One week ago, the Pakistani military launched a major offensive into Orakzai in Pakistan’s Federally Administered Tribal Areas (FATA). The foray comes as the Pakistani military’s operation in South Waziristan formally ends today, March 30 (although the army will maintain a presence in the agency). As part of the new Orakzai offensive, dubbed Operation “Khwakh Ba De Sham” (A Pashto expression roughly meaning “I will teach you a lesson” or “I will fix you”), five battalions of Army, Frontier Corps and local Frontier Constabulary troops, backed up by jets, helicopter gunships and artillery support, have forayed into parts of Orakzai held by the Tehrik-e-Taliban Pakistan (TTP) and begun retaking control of the area. Orakzai is of great strategic importance to both the Pakistani military and the TTP. Hakimullah Mehsud, the late head of the TTP, shifted back to his old stronghold of Orakzai along with much of the movement’s leadership and manpower following the group’s expulsion from South Waziristan. Orakzai has also been the launching pad for numerous suicide bomb attacks conducted across Pakistan and is home to many terror training camps, including some run by Lashkar-e-Jhangvi, Jaish-e-Muhammad, and other al Qaeda-affiliated terrorist outfits. 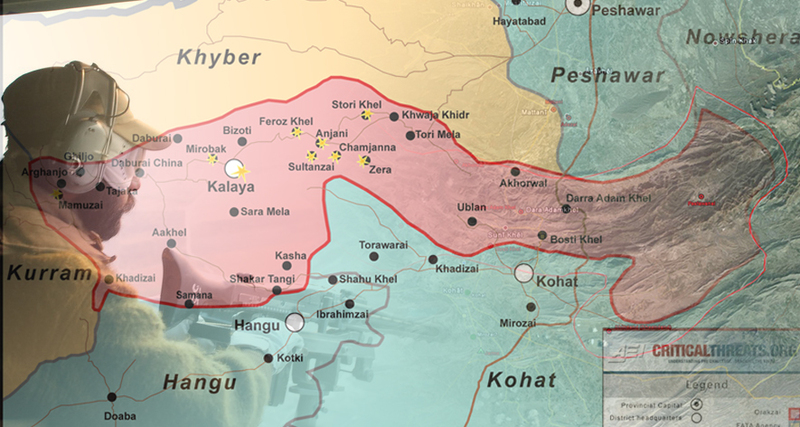 For the Pakistani military, retaking Orakzai is a key step towards destroying the leadership capacity of the TTP, crippling its ability to train and launch attacks, and denying it another safe-haven in which it may regroup. This latest operation in Orakzai demonstrates the utmost seriousness with which Pakistan continues to view the task of eliminating the TTP and its affiliates. Although the scale of the operation currently underway in Orakzai is smaller compared to last year’s operations in Swat and South Waziristan, the fighting has been just as bloody. The military has established a cordon around many of Orakzai’s entry and exit points and the militants, finding their escape cut off, are, in many cases, choosing to fight and launch significant assaults on military positions. The military has been retaliating by bombarding TTP locations relentlessly, reportedly inflicting heavy casualties on the militants. The military claims many of the dead are foreign fighters, including Arabs and Uzbeks. The Critical Threats Project has been cataloging the military operation in Orakzai on a day-to-day basis and produced a tracker containing casualty figures, details of fighting, information on the flows of internally displaced people (IDPs), maps of the agency showing locations of violence, and more. 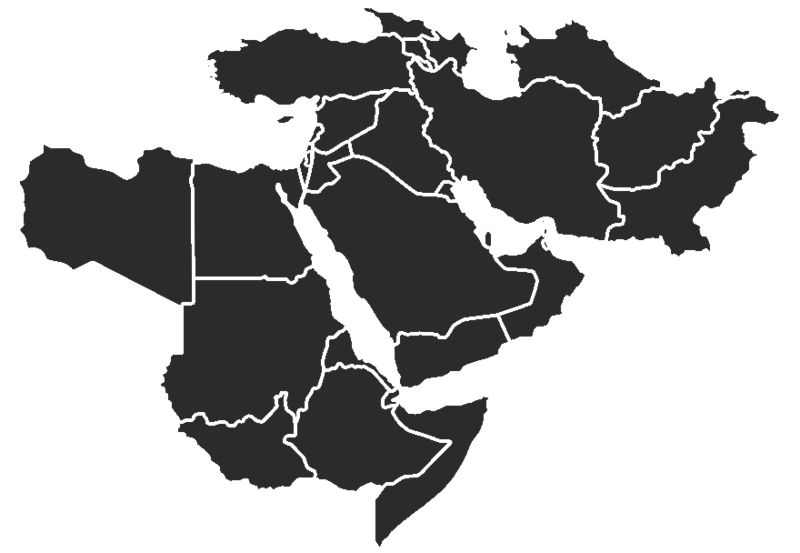 Click each map to view an enlarged version or view a larger map of northwest Pakistan. Taliban casualties: No casualties reported; 2,089-2,457 killed since beginning of operation. Military casualties: No casualties reported; 47-53 killed and 122-141 wounded since beginning of operation. No reports of military action today. Taliban casualties: 12-15 killed; 2,089-2,457 killed since beginning of operation. Military casualties: 2 wounded; 47-53 killed and 122-141 wounded since beginning of operation. Taliban casualties: 15 militants killed; 2,077-2,442 killed since beginning of operation. Military casualties: No casualties reported; 47-53 killed and 120-139 wounded since beginning of operation. Taliban casualties: No casualties reported; 2,062-2,427 killed since beginning of operation. Taliban casualties: 44-53 killed; 2,062-2,427 killed since beginning of operation. Taliban casualties: 79-100 killed; 2,018-2,374 killed since beginning of operation. Military casualties: 3 killed and 5-6 wounded; 50-56 killed and 125-145 wounded since beginning of operation. Taliban casualties: 43-50 killed; 1,939-2,274 killed since beginning of operation. Taliban casualties: 139-146 killed; 1,896-2,224 killed since beginning of operation. Military casualties: 1 killed and 5 wounded; 47-53 killed and 120-139 wounded since beginning of operation. Taliban casualties: 85-93 killed; 1,757-2,178 killed since beginning of operation. Military casualties: 8 wounded; 46-52 killed and 115-134 wounded since beginning of the operation. Taliban casualties: 25 killed; 1,672-2,085 killed since beginning of operation. Military casualties: No casualties reported; 46-52 killed and 115-134 wounded since beginning of the operation. Taliban casualties: 22 killed; 1,669-2,082 killed since beginning of operation. Military casualties: 2 wounded; 46-52 killed and 117-136 wounded since beginning of the operation. Taliban casualties: 75 killed; 1,647-2,060 killed since beginning of operation. Military casualties: 6 wounded; 46-52 killed and 115-134 wounded since beginning of the operation. Taliban casualties: 32-33 killed; 1,572-1,985 killed since beginning of operation. Military casualties: 2 wounded; 46-52 killed and 109-128 wounded since beginning of the operation. Taliban casualties: 80-93 killed; 1,540-1,952 killed since beginning of operation. Military casualties: 8 killed and 26 wounded; 46-52 killed and 107-126 wounded since beginning of the operation. Taliban casualties: 20-70 killed; 1,460-1,959 killed since beginning of operation. Military casualties: No casualties reported; 38-44 killed and 81-100 wounded since beginning of the operation. Taliban casualties: 10 killed; 1,440-1,889 killed since beginning of operation. Taliban casualties: 8-12 killed; 1,430-1,879 killed since beginning of operation. No reports of military action in Orakzai today. Taliban casualties: 82-100 killed; 1,422-1,867 killed since beginning of operation. Military casualties: 6 killed and 13-20 wounded; 38-44 killed and 81-100 wounded since beginning of the operation. Taliban casualties: 105-107 killed; 1,340-1,767 killed since beginning of operation. Military casualties: no reports of casualties; 32-36 killed and 68-80 wounded since beginning of the operation. Taliban casualties: 79-109 killed; 1,244-1,669 killed since beginning of operation. Military casualties: 1 killed and 2 wounded; 32-36 killed and 68-80 wounded since beginning of the operation. Taliban casualties: 128-140 killed; 1,165-1,560 killed since beginning of operation. Military casualties: 3 killed; 32-36 killed and 68-80 wounded since beginning of the operation. Taliban casualties: 90-92 killed; 1,032-1,420 killed since beginning of operation. Military casualties: 1 killed and 2 wounded; 29-33 killed and 68-80 wounded since beginning of the operation. No reports of military operations today. Taliban casualties: 90-168 killed; 942-1,328 killed since beginning of operation. Military casualties: 4 wounded; 28-32 killed and 66-78 wounded since beginning of the operation. Taliban casualties: 91-118 killed; 852-1,160 killed since beginning of operation. Military casualties: 4-6 killed and 27-33 wounded; 28-32 killed and 62-74 wounded since beginning of the operation. Six militants were killed during clashes with local tribesmen in the Sara Gara area (Express Tribune). Military casualties: 16-19 killed and 50-59 wounded since beginning of operation. Taliban casualties: 2 killed today; 508-671 killed since beginning of operation. Military casualties: 1 wounded today; 16-19 killed and 50-59 wounded since beginning of operation. Military casualties: 1 wounded today; 16-19 killed and 49-58 wounded since beginning of operation. Taliban casualties: 468-617 killed since beginning of operation. Military casualties: 15-18 killed and 45-54 wounded since beginning of operation. Operations continue in the mountainous Sangara area of central Orakzai as a suicide bomber attacks a police station in Kohat. Security forces continue to conduct operations in the Sangara area. Elsewhere, dozens of IDPs are killed in twin suicide bombings in Kohat and General Kayani formally apologizes for the civilians killed in last week’s airstrikes in Khyber. Military casualties: 14-17 killed and 45-54 wounded since beginning of operation. Ground forces conduct operations in central Orakzai. Taliban casualties: 11-17 killed today; 439-583 killed since beginning of operation. (Express Tribune, Daily Times, Geo). Helicopters shell Taliban hideouts in Lower Orakzai as Lashkar-e-Islam asks to hold talks with the government. No reports of military operations today. (Read the Pakistan Security Brief for daily updates on the security situation in Pakistan). Taliban casualties: 423-558 killed since beginning of operation. No reports of military action in Orakzai today (Read the Pakistan Security Brief for daily updates on the security situation in Pakistan). Ground forces fend off militant assaults and continue to bombard Taliban hideouts in Lower Orakzai. More than a hundred militants armed with rockets and machine guns stormed a military checkpoint in the Shireen Darra area early this morning. Security forces successfully repulsed the attackers after a two to three hour long gun battle, with 2-4 FC soldiers reported killed, 8-9 wounded, and 6 others missing. There were also reports of clashes at security checkpoints in the Sangara and Feroz Khel areas. An estimated total of 32-41 militants were killed in today’s fighting, including TTP commanders Zewar Mulla and Safi-ur Rehman. Militants begin to flee military operations in Orakzai Agency. Ground forces repel militant attacks outside of Kalaya and in Bizoti and move into Upper Orakzai for the first time. Clashes in the Bizoti area of Lower Orakzai continue as airstrikes in the Tirah Valley of the Khyber Agency target an alleged Lashkar-e-Islam hideout with civilian casualties are reported. Military casualties: No casualties reported today; 12-13 killed and 34-42 wounded since beginning of operation. Military forces repel a militant attack on a security checkpoint, destroying several hideouts in retaliation. Taliban casualties: 303-414 killed since beginning of operation. Military casualties: 12-13 killed and 33-39 wounded since beginning of operation. Aerial bombardments continue to pound militant hideouts as ground forces claim they have cleared major portions of Lower Orakzai. Military casualties: No casualties reported today; 12-13 killed and 33-39 wounded since beginning of operation. The military continues its bombardment of Taliban hideouts as ground forces conduct search operations. Air assets continue to target Taliban hideouts throughout the agency as ground forces implement curfews and conduct search operations. Taliban casualties: 15-18 killed today; 280-387 killed since beginning of operation. Militants attack a security post and a convoy. Pakistani security forces retaliate by targeting militant hideouts. Security forces continue to clear areas of Orakzai Agency. Security forces target Taliban hideouts as militants continue to destroy schools throughout the agency. Military casualties: No casualties reported today; 5-6 killed and 19-24 wounded since beginning of operation. Security forces continue operations to destroy Taliban hideouts, flush out militants, and kill fighters attempting to flee the area. In the midst of military operations, fighting between rival Taliban factions also continues. The Pakistani military continues aerial bombardments on militant hideouts in Lower Orakzai while Taliban forces destroy buildings throughout the agency and launch an attack on an FC camp in neighboring Khyber for the second time. Security forces continued their operations in Orakzai on Sunday, capturing fresh territory and fending off attacks from TTP militants. Military casualties: No casualties reported today, 5-6 killed and 17-20 wounded since beginning of operation.